It's time for a fresh round of boot spots from the weekend games, and there have been plenty to pick from. 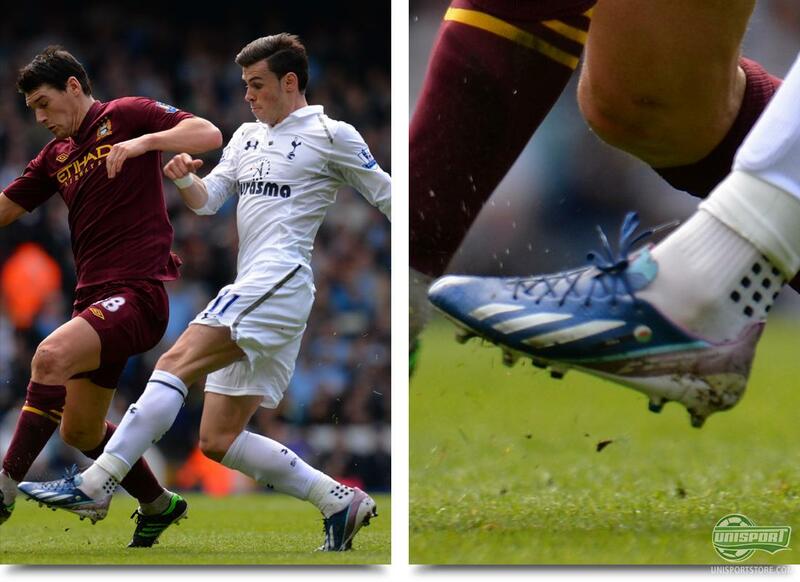 We have seen mixed boots, custom colourways, exciting laces and Trusox. We have gathered the best of the best in this little article, but please feel free to let us know if you feel that we have missed something. 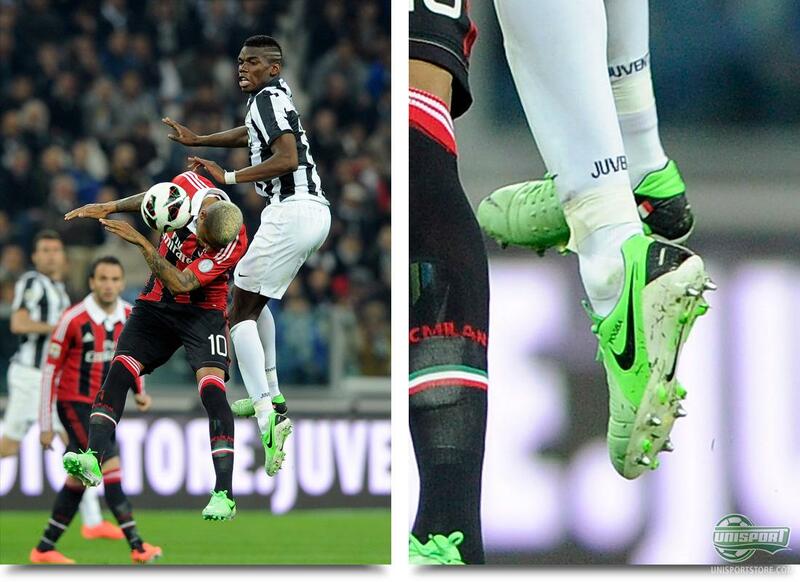 The French attacker is known to change his boots quite often, and once again he delivered. Despite appearances in the latest generation of the Adidas F50 Adizero Blue/Purple/White, he is now back in his trusty F50 Adizero White/Lime/Black. 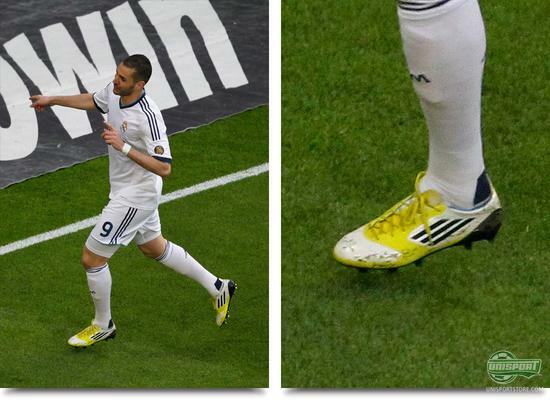 The Portuguese winger delivered one of the most spectacular boot spots of the weekend, as he wore two different boots. The one boot was the new Adidas F50 Adizero, whereas the other was the previous generation of the lightweight boot in the Black/Silver/Yellow colourway. 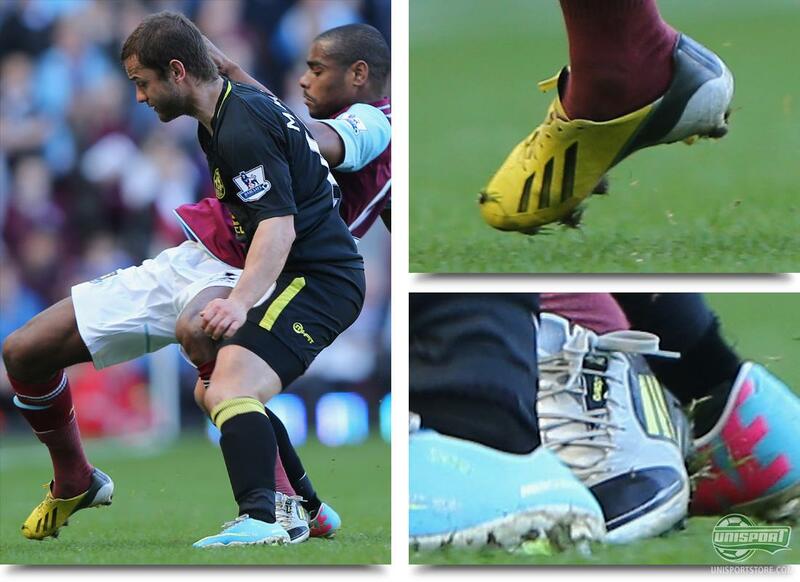 Vaz Te hereby joins the list of players, including Assou-Ekotto, among others, who have been wearing two different boots. 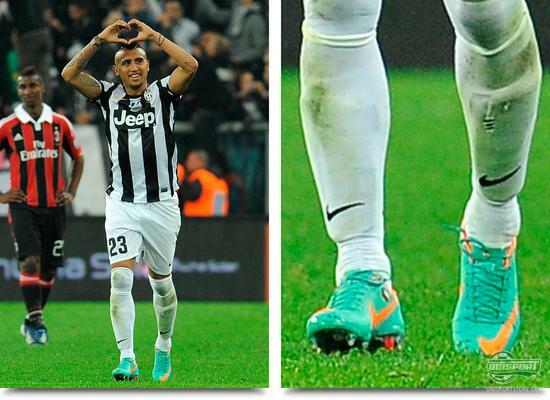 Similar to Mesut Özil, the Chilean midfielder, Arturo Vidal, has yet to change his trusted Vapor VIII Retro/Total Orange/Challenge Red for the new Vapor IX. Whether this is due to contract issues with Nike, or maybe a bit of superstition, we don't know, but we will keep an eye on Vidal in the future. 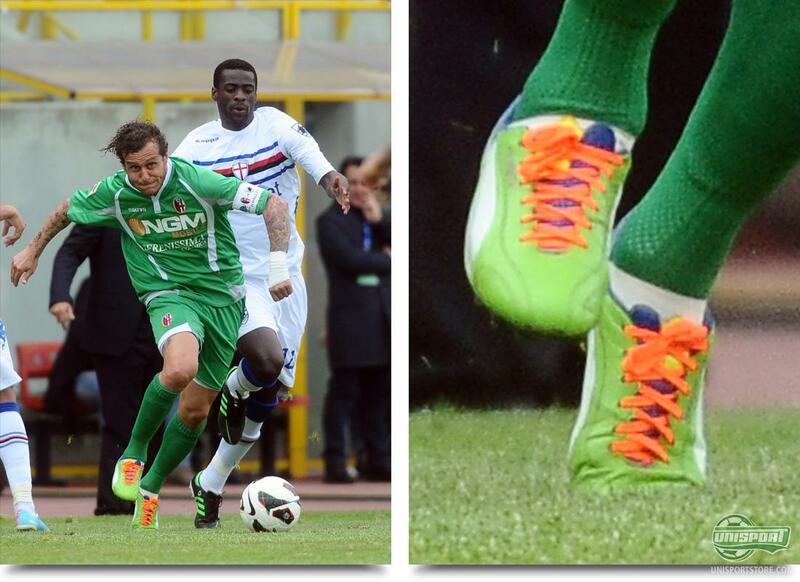 It is only a very limited number of professional players who wear custom boots on a daily basis. 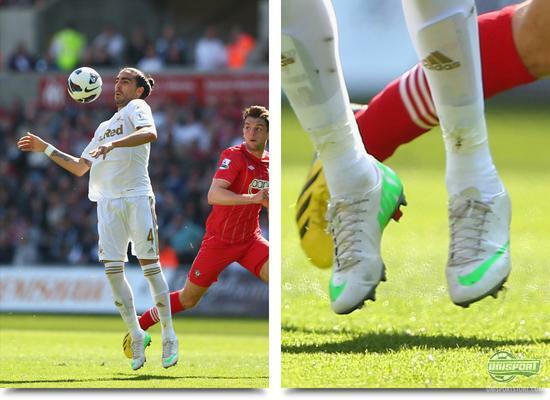 One of the few is now Spanish Chico Flores from Swansea, who used the weekend game to sport a pair of super nice NikeID Vapor IX in an elegant White/Green colourway, which we believe he has designed himself. The offensive midfielder is known for, among other things, scoring on the decisive penalty against Joe Hart, when Italy managed to make it to the final of last summers EURO. Now he has also managed to make it to our boot spots due to his 'pimped out' Puma Evospeed 1 Green/Blue/White with orange lacing. Oh yes, he has still got it, and these days he acts as playing manager for English team Barnet. 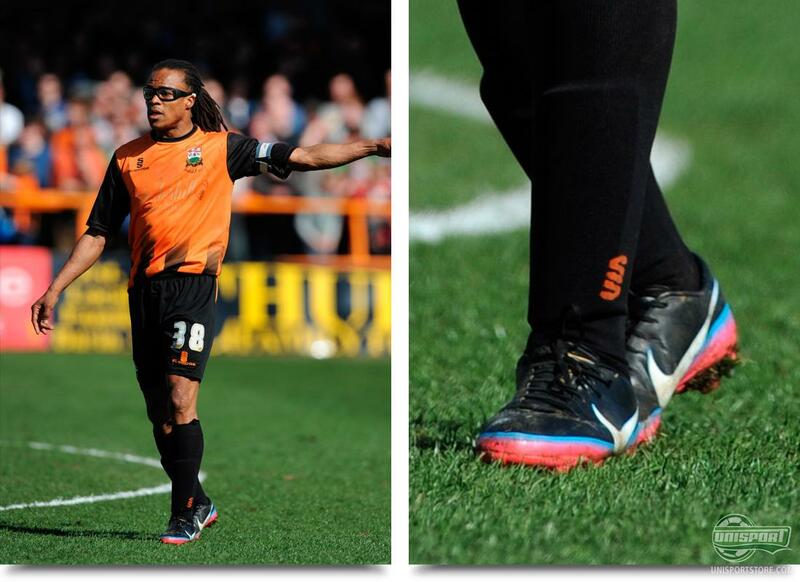 When he was at the his careers highest, Davids also wore Nike's T90 collection, and he has also chosen to stick the the American sports giant. He has picked out Cristiano Ronaldo's signature colourway of the Vapor VIII, a nice choice indeed. Classy choice from the man with the orange goggles. The Welshman was back from his injury, and was yet again to be found in the Spurs starting eleven, as they hosted Manchester City. The guests took an early lead, but Tottenham managed to come back and win the game 3-1, with the last goal being scored by Gareth Bale in his Adidas F50 Adizero Blue/Purple/White nicely accompanied by a pair of the popular Trusox. The victory also means that Manchester United can secure the championship with a victory in tonight's match against Aston Villa. Similar to the previously mentioned, Chico Flores, Juan Jesus has also designed a pair of exclusive football boots. Anyhow, he will not get top points for being creative, as his Nike Tiempo Legend IV White/Blue is very similar to one of the first official colourways from when the boot was launched. The former Schalke 04 attacker is now to be found in Russian football and still keeps his characteristic beard. His boots have been changed, on the other hand, as he has designed a pair for himself, with a result that we can only applaud. A pair of miAdidas F50 Adizero White/Blue, which matches the Dynamo Moscow very well. In his position as a central midfielder, the Nigerian has previously preferred Nike's Total90 collection, to which he has been faithful for a number of years. 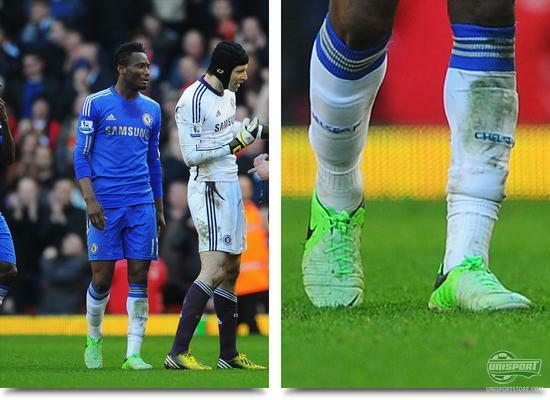 Now he seems to have fallen for the CTR360 Maestri III, which is made to suit the needs of the midfield maestro profile. In the big game against Liverpool we spotted him wearing the latest colourway, the Fresh Mint/Black - Neo Lime. Manager Antonio Conte has said that he could become one of the worlds best football players. The massive talent has, although, not been enough to get him a personal boot contract yet, as he continues to switch between Adidas Predator LZ and Nike CTR360 Maestri III. During the weekend he had picked the CTR Maestri III ACC Fresh Mint/Black - Neo Lime. There were plenty of interesting boot spots this time around, and the specially designed boots really made their mark. We would like to hear if you have spotted something that we have missed? What do you think of the weekend boot spots? Feel free to leave a comment in the box below.